While it’s easy to see the latest fashion trends driving bathrooms, what is less obvious are the ‘unsung heroes’ behind the scenes, enabling designers to achieve the must-have, spa-like looks. Minimum Support from Bette is pre-attached to low level shower trays and has been added to make them easier and quicker to install. 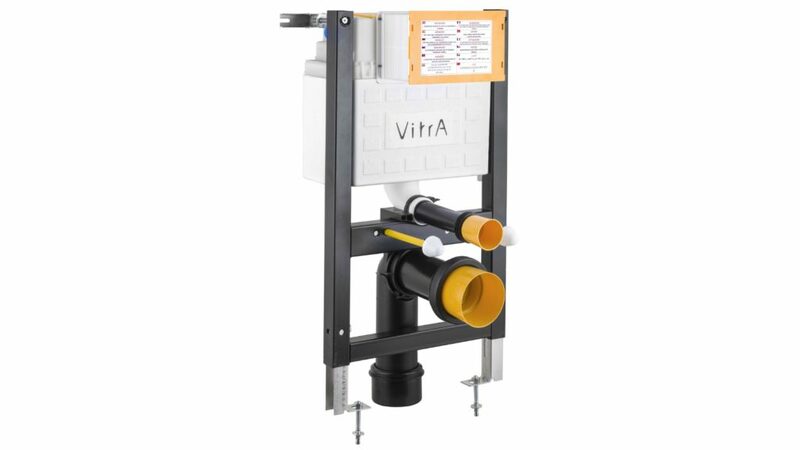 Think frames for wall-hung sanitaryware and shower tray fixings, wetroom formers, boxes for concealed shower valves and even waterproof construction board. It’s an area that is familiar to installers but arguably less understood by designers, as director of Ceramique Internationale Peter Vann comments: “We believe the use of construction materials is far too installer-led at the moment. But with a broad stroke of understanding, it may enable designers to have more freedom when creating their projects. While frames may be nothing new for designers specifying wall-hung sanitaryware, with the average size of the UK house continuing to shink in newbuilds, it means designers will increasingly opt wall-hung WCs to give the illusion of more space. And accomplished designers will be aware, there have been developments in frame technology enabling freedom of positioning and ease of access. In terms of WCs, it has seen frames created to make use of redundant spaces such as corners. 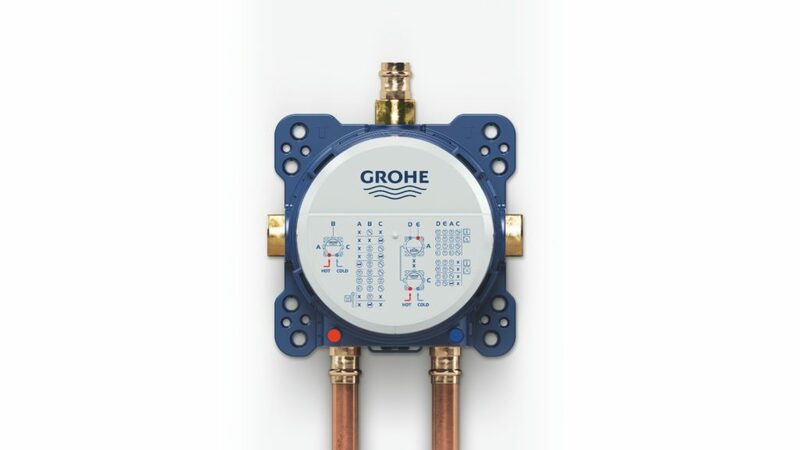 Of course, with the plumbing behind the wall, it also enables the flush to be quieter, as senior category manager of Grohe Paul Bailey points out: “Grohe is still exceptionally proud to hold its QuietMark status for its Rapid SL flushing system”, stating it delivers acoustics of 21db, as compared with the average flush of 75dB. 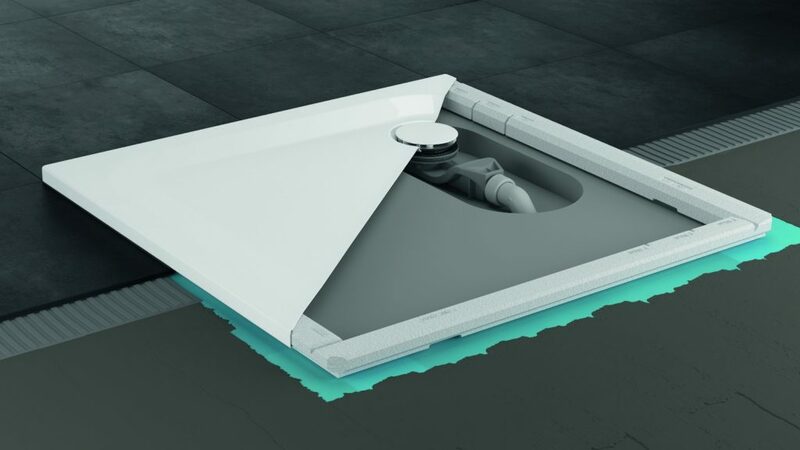 Similarly, showering spaces have also benefited from the use frames too, with low level trays now supplied pre-fitted with a support for ease of installation. And the engine of the shower, the valve, has equally become a contender for concealment behind a wall. Not only does it create the coveted clean lines in a bathroom but offers the practical benefits that the positioning is no longer limited by the length of the shower hose. In fact, the concealed valve can even be placed on an opposing wall from the outlet. And with the growing demand for greater personalisation in terms of sprays, it means the concealed valve has had to evolve. Paul Bailey of Grohe says: “As the demand for concealed shower values increases, their components are becoming advanced, allowing them to deliver a new and exciting offer to the showering market. And it could even be argued that such is the importance of behind the wall products, they are now forcing their way in front and centre of a bathroom scheme. For example, board manufacturers now offer seats, and storage solutions and are taking over from the materials of traditional bathroom and kitchen design. Peter Vann of Ceramique International explains: “Designers now have far greater creative possibilities in the bathroom due to the availability of ‘complete’ construction systems, like Jackoboard. So take another look at goes on behind the scenes in the bathroom and how these products can help accomplished designers with their next project.